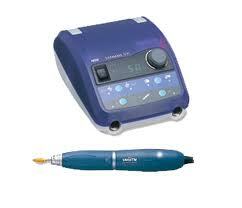 In our opinion, NSK handpieces are second only to Kavo in quality and workmanship. Very light, high quality handpieces offered with Titanium shells and chair side replacement cartridge turbines, which are easy to install and maintain. Many times, a reduced, or clogged water spray can be corrected with cartridge replacement, since much of the tortuous path water takes within the handpiece is actually integral to this component. Newer models also employ the patented "Clean Head System" which helps protect against sterilization. NSK air driven and electric slow speed systems are industry leaders, and support e-type coupling which makes them easy to find attachments for. Japanese quality with euro couplings offer great power, control, and torque. Partnering with Brasseler certainly didn't hurt them in this category. Brasseler has long been an industry leader in the electric handpiece arena. 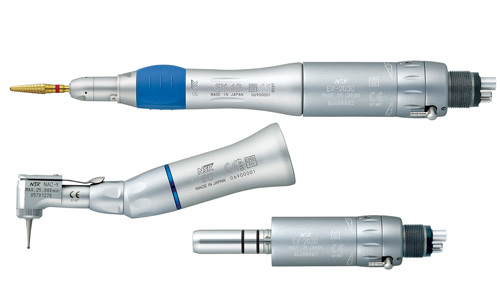 Super light titanium high and low speed handpiece series. 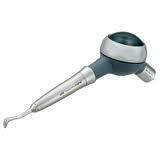 The Pana Max is probably the very best low end handpiece on the market. The NSK Z 500 is an excellent choice for a 40,000 RPM lab motor with good, variable speed control. The NSK IS 205 motor is a very good entry level e-type low speed motor which holds up well in the clinic. 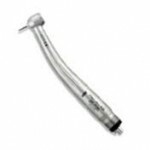 The NSK EndoMate is one of the top selling endodontic combinations on the market today. NSK EX low speed motor system offers absolute consistency in a low cost alternative. 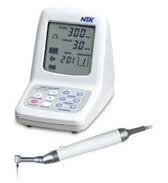 NSK Prophy Mate offers excellence in dental hygiene.